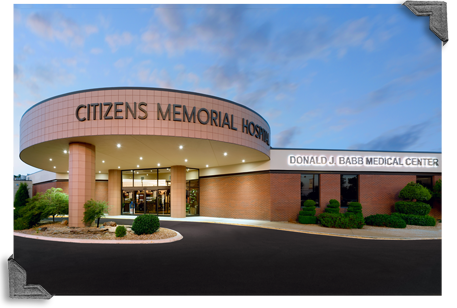 Citizens Memorial Healthcare's radiology and imaging services offer state-of-the-art technology, equipment and techniques to provide you with accurate, comprehensive and timely diagnostic information. With leading-edge technology, CMH uses a Web-based Picture Archival Communication System (PACS) for the storage of images, which allows the images to be distributed throughout the facility within seconds, without the traditional use of film-processing procedures. And as part of our extensive expansion to our imaging and emergency services, we've added a magnetic resonance imaging suite, which offers the newest technology available. Our caring and experienced professionals will assist you throughout your procedure and work closely with our board-certified radiologists to give you timely results and personal consultations. Patients can typically expect results from any imaging procedure within 3-5 days. CMH also offer interventional radiology. These minimally invasive procedures allow our physicians to treat certain conditions and diseases without surgery.